Good Day Cafe is now open! Click on the link for our coverage in Centre Daily Times about our Grand Opening! Fun was had by all at Strawberry Fields, Inc. Night At the Spikes!! Be sure to check out the CNET interview with Dr. Roy Love and Cindy Pasquinelli discussing the opening of Good Day Cafe…coming soon! Strawberry Fields is honored to be this year’s recipient of the Centre Foundation – Centre Inspires grant!! Click on the link for our coverage in Centre Daily Times, and stay tuned for updated information on our coffee shop! 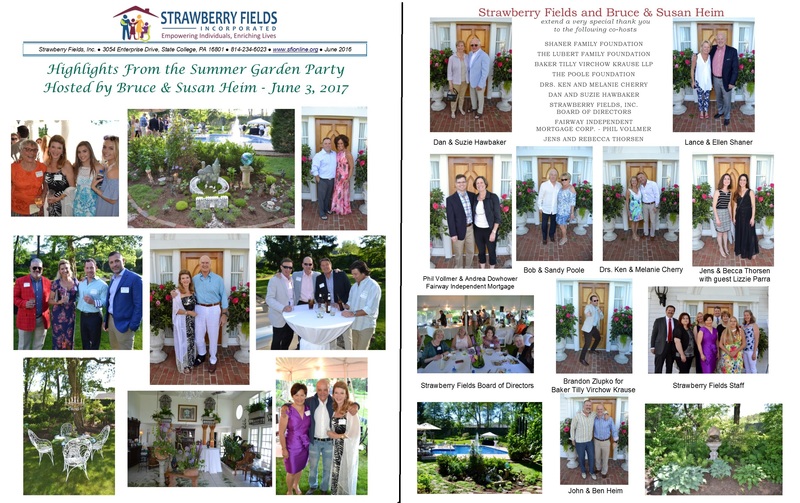 Strawberry Fields, Inc. as we celebrate 45 years in 2017!! 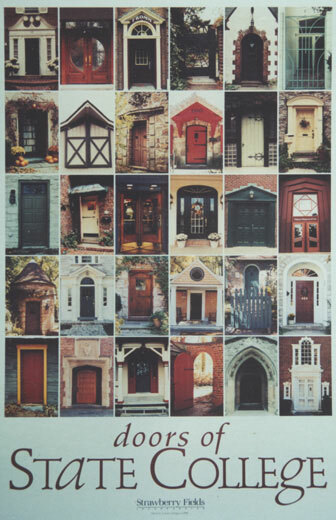 A sincere thank you to Susan & Bruce Heim and their co-hosts for hosting the 2nd Summer Garden Party benefiting Strawberry Fields, Inc.
A full color poster of 30 beautiful and historic doors around State College by Strawberry Fields, Inc. (34 x 24) is now available for purchase. The poster is $15.00 (includes ship ping, handling, and tax). 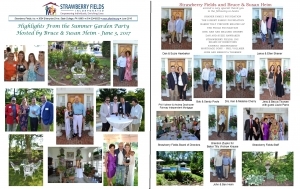 Strawberry Fields raised $70,050 at this year’s Chefs On Stage. 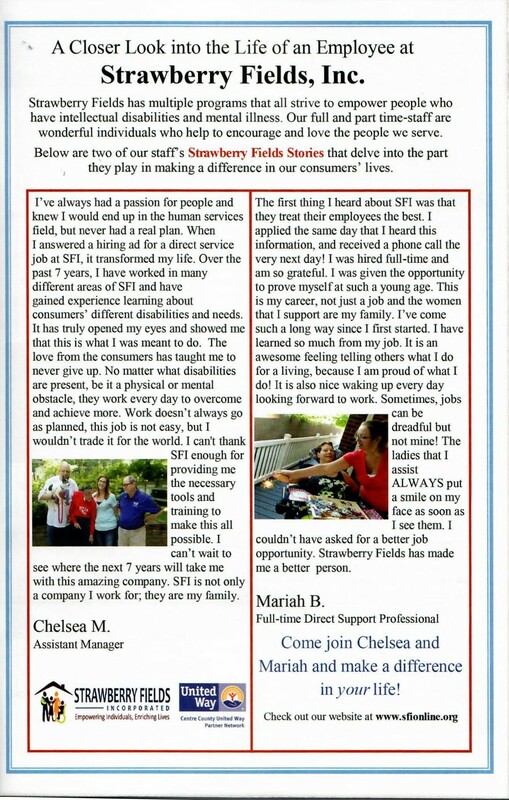 Thank you to State College Magazine for choosing Strawberry Fields as this year’s recipient! 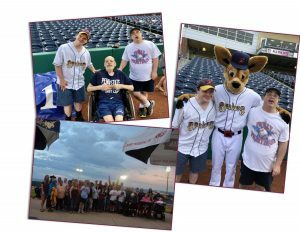 “We’re meeting the needs of people that might not otherwise be met,” says Pasquinelli, who has been the organization’s CEO for 30 years. 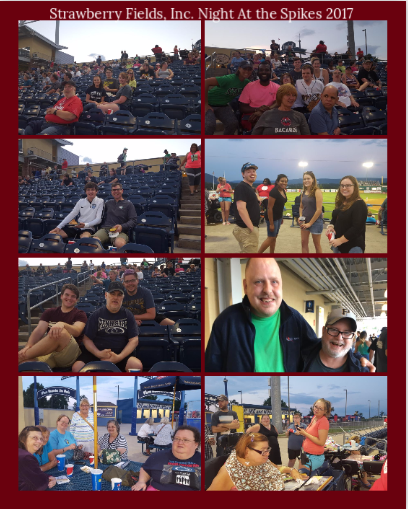 Strawberry Fields is now on Facebook, and we encourage all former and current employees to join us for the latest updates, news, and events! You can join our group, and you will have access to our page in order to view our posts or contact us even more easily than before!